Kaby Lake? Forget about it – even though it’s hardly old news – because later this year, Intel’s next-generation processors (the eighth incarnation of the Core family) are set to arrive promising a considerable performance boost. The slide reveals that Coffee Lake will be 15% faster than Kaby Lake based on Sysmark scores – an equal boost to the 15% rise seen from Skylake to Kaby Lake on that benchmark (although it will be interesting to see what this boost translates to in the likes of 3DMark and real-world gaming performance). This is something of a shock announcement, considering that last summer, Intel’s roadmap showed that Coffee Lake wasn’t due to emerge until 2018. Is it time to get a Surface Book or should you wait it out? The timing of this tweet, and the apparent stepping up of Intel’s schedule, is interesting given that we are just a few short weeks away from AMD unleashing its Ryzen CPUs, with which the company hopes to claw back some turf in the desktop processor market. Coffee Lake is still built on a 14nm process as with Kaby Lake, but as we heard last summer, it’s expected to bring six-core CPUs into the fold of Intel’s mainstream processor offerings. 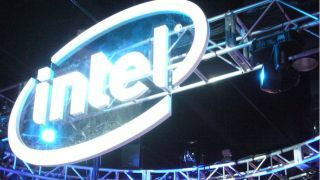 (Intel has of course made six-core efforts before, but those were enthusiast chips with expensive price tags, not affordable for the average punter). Fingers crossed, then, that we get some beefy beasts of processors rolling out later on this summer, which hopefully might have to be more competitive on price if Ryzen lives up to the hype AMD is putting behind it.